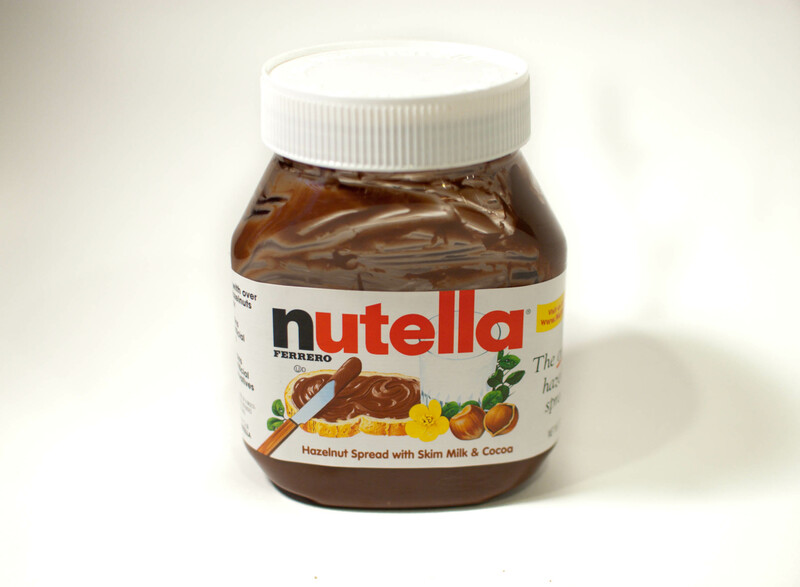 OK, so I’m a few days late for Worldwide Nutella Day. No excuses. BUT, I did make something to contribute to the Nutella love…and it didn’t even require any baking! You’d think with all the snow and cold temperatures we’ve had in Chicago lately that I’d be eager to use the oven to generate a little extra heat in the house, but no. Not really. I was feeling lazy, so this was the perfect recipe. But don’t confuse laziness for lack of deliciousness — these are really good! Peanut butter and chocolate is one of my all-time favorite combinations, and these taste like jazzed up Reese’s Peanut Butter Cups. 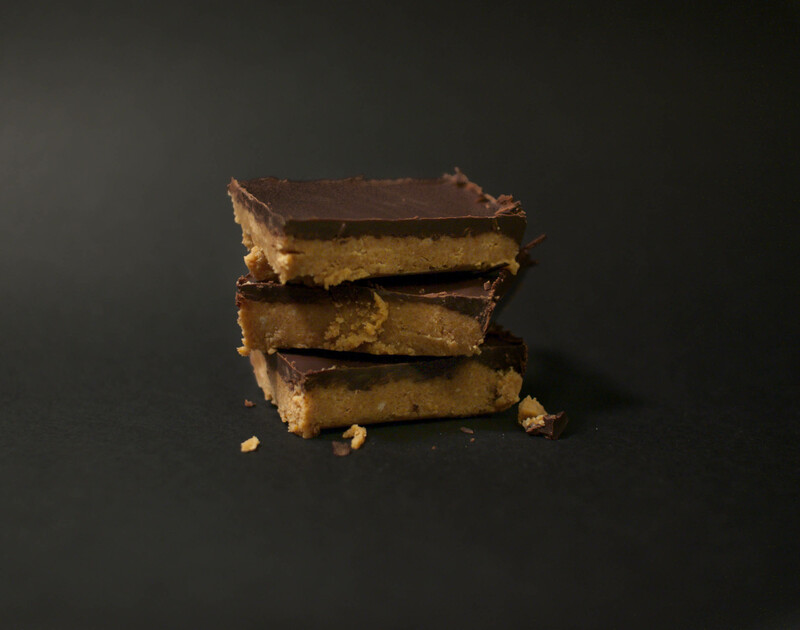 In fact, I recently read that what makes the peanut butter in that famous candy so good and unique is ground up graham crackers, which is exactly what you do in this recipe. Cool, huh? And for some extra love, I added Nutella to the chocolate layer on top. Perfection! In a small saucepan (or in the microwave if you’re careful not to burn the chocolate), carefully melt the chopped chocolate and Nutella over low heat, stirring frequently to avoid scorching. Once it’s smooth, pour over the peanut butter mixture, carefully spreading to cover. Put dish in the fridge and let cool for at least an hour before cutting. *Note: Next time I’d line the dish with parchment paper first — the bars require a little elbow grease to remove from the pan. Better late than never, because these look fantastic!!! YUM! Peanut butter AND nutella? Yumms! It’s okay that it’s a few days late, these look totally work the wait! I did hear about Nutella day. Is it weird I still haven’t had it that much? I think I’m a little nervous of what would happen if I acquired a jar of it just for myself! You used the cinnamon graham crackers from Trader’s! Those are pretty amazing aren’t they? I love the addition of Nutella to the classic peanut butter bar, Nutella makes almost every thing a little better! Yes! They are by far my favorite Graham cracker, but as you can imagine, they made the bars really sweet! I wouldn’t worry about it, LOL…Nutella is good ANYTIME! :-p Yummy bars! 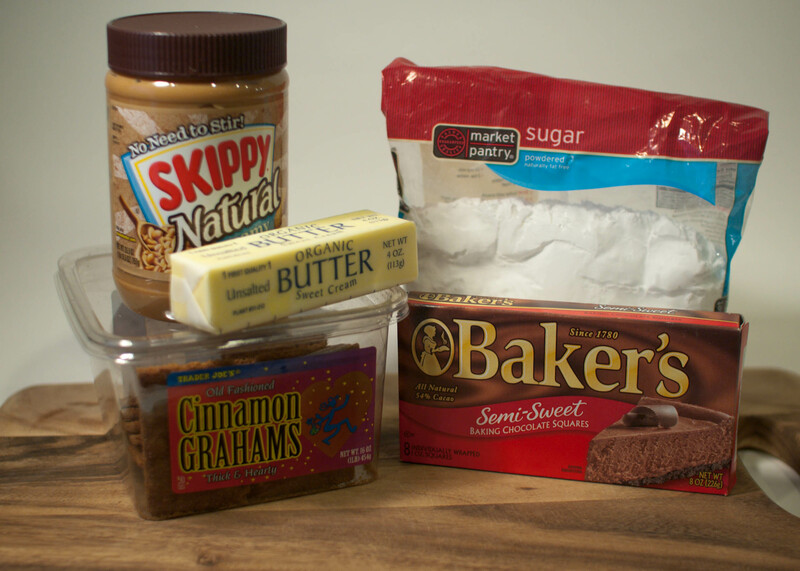 Love the idea of graham cracker crumbs mixed into the peanut butter – looks great! OMG – will you marry me? Holy combo – PB & Nutella! WOW! And you added graham crackers…that’s got to be ammmmazing. Um YUM, anything with peanut butter and I am there! Just got your lovely comment 🙂 I do have twitter and just started following you! I just made something like this a couple of days back and couldnt stop myself from eating them. Yours look wonderful,and EVERYTHING from the ingredient list sounds super enticing! OH MY. Peanut butter AND nutella? I think that would satisfy my lady cravings right now LOL. I made these, and spread a layer of homemade Marshmallow Fluff over the top. SO GOOD, they tasted just like s’mores!